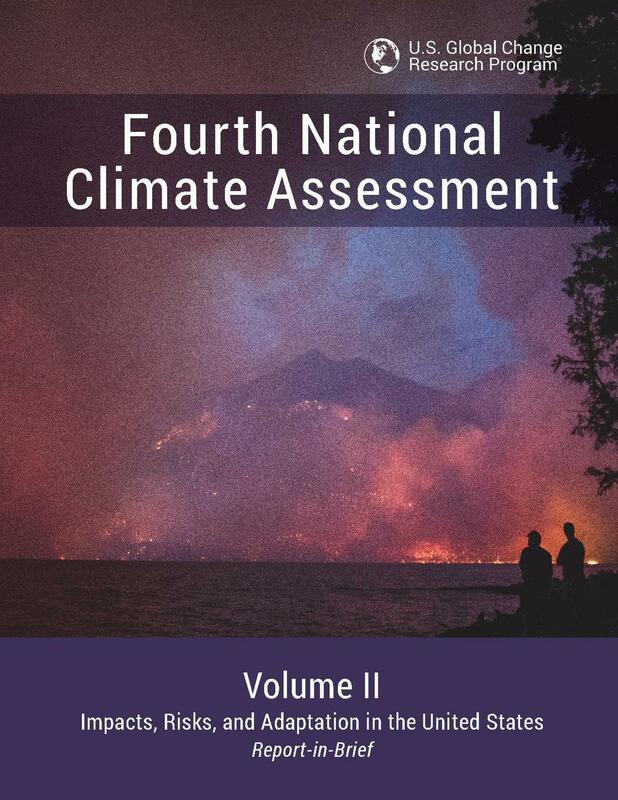 The federal government released a sweeping report on climate change last week that predicts more wildfires and catastrophic weather across the nation unless lawmakers act, but like most Republicans Wyoming's lawmakers don't take the document too seriously. According to scientists spread across thirteen agencies within the federal government controlled by President Trump, the west is slated to see even more devastating wildfires in the future if nothing is done to combat climate change. Wyoming's junior senator John Barrasso says he doesn't completely discount the report, though he said Democrat's solutions to the problem would cripple the state's economy in the near term. "You have to take it seriously, some of the things being proposed out there though have a greater impact on the economy than what's in the report." Barrasso's referring to the so-called Green New Deal being proposed by progressives that seeks to get America completely off fossil fuels. While the government's report - that's mandated by Congress - predicts that by the end of the century the economy risks losing five hundred billion dollars annually unless action is taken, Barrasso said the economy will be in shambles if Democrats get their way. "And the results would be more dire if you took into account some of the things they want to do now in terms of hurting our American economy, with saying 'No, we're going to make energy more expensive; we're going to stop using some of the more affordable sources of energy." That logic is lost on western Democrats like Washington State's Maria Cantwell. She's the top Democrat on the Senate Energy and Natural Resources Committee. Cantwell said she believes that Republicans like Barrasso are putting their corporate donors above sound policy. "This is a cost factor to the federal government, and they know that because they're seeing it on fire, on drought, they're seeing on disasters. So the question is whether they're going to own up to the fact that they can do better things for the future." But Barrasso also said the report is misguided because there's nothing the U-S alone can do to prevent its dire warnings. "There is somewhat of a fatalism in the report though, when you look at the fact that you can turn off the United States tomorrow and it wouldn't any really long-term impact because of the fact that China, India and others their emissions continue to go up." That sentiment is echoed by Wyoming Congresswoman Liz Cheney, though she goes a step or three further. She wants to completely disband the Environmental Protection Agency and denies humans are causing the earth's temperature to rise. She said the report won't distract the GOP from driving their pro-coal and gas agenda in the next Congress. "The idea that you're going to go down this path of just killing the fossil fuel industry, it puts our economy at risk and it puts our security directly at risk too." Cheney is now the number three House Republican leader in Congress and she's focused on combating Democrat's attempts to curb carbon pollution in the New Year. "They tried to use the guise of addressing climate change to impose industry killing regulations and we've got to make sure that we continue to roll those back, and we're going to have to protect the gains from the Democratic majority in the House." Incoming Florida Democratic Congresswoman-elect Donna Shalala said Wyoming Republicans have their heads buried underground while her constituents are at risk of losing the ground under their feet. "They're all deniers. They're all deniers. There's no deniers in South Florida - for us it's life and death. Even the Republicans down there." Wyoming Senior Senator Mike Enzi dismisses the government's report on climate change as "a piece of work," but he argues having a vibrant economy enables more innovation in the clean energy sectors of tomorrow. "I'm for as clean of energy as we can get. I'm a believer in innovation. I think that we're doing that. And that will solve things if we get cooperation with it, and it will keep the economy going." While the majority of moderate Republicans who want to tackle climate change head on were swept out of office earlier this month, a few still remain. Pennsylvania Republican Congressman Brian Fitzpatrick supports a tax on carbon in order to combat climate change. And he sees his role in the upcoming Congress as trying to lobby his fellow Republicans - from Wyoming and elsewhere - to open their eyes to the threat of climate change. "It just tells me there's a lot of work to be done. Anybody who doesn't see the light on this yet, my job is to get them to see the light on it. Not just voting, but convincing people to do the right thing."